The charming city of Sisters lies just east of the Three Sisters deep in the heart of the Cascade Mountains. Old western facades line the main corridor through town, honoring the historic traditions of this frontier town. Explore our new home communities to find your charming new home today. Sisters is nestled near the heart of the Cascade Mountains. This charming little city provides an old western feel as you travel down its main corridor. Sisters has quickly developed into a thriving place to make a home, or invest in a second home, with world-class restaurants, boutique shops and top-notch entertainment. Here are a few more amenities to love about Sisters: Cascade Mountains, Historic Western Town, Sisters Outdoor Quilt Show, Sisters Folk Festival, Sisters Rodeo, and Fantastic Outdoor Recreation. Hayden Homes is proud to have been building new homes and providing new real estate for sale in Sisters, Oregon for years. In fact, many of our hardworking employees call this city home. 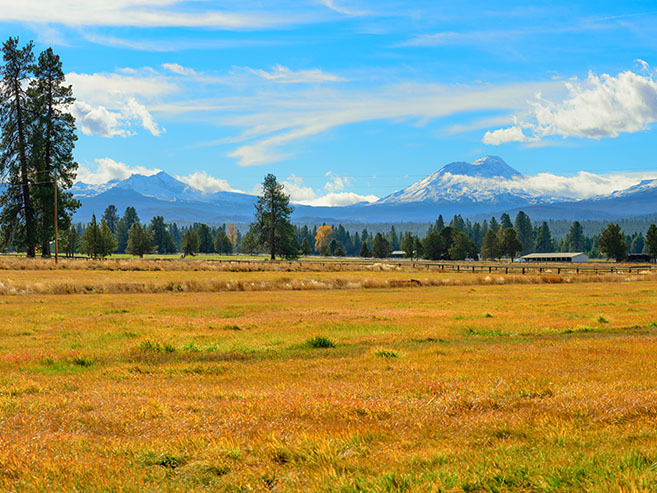 Explore the variety of new homes for sale in Sisters, Oregon today. Make yourself at home in The Village at Cold Springs, a new home community located in the charming city of Sisters. Offering a variety of homes plans to fit your needs at any stage in life, find out more about our Sisters new home community. Street Address 907 Smith Ct.